Megan Jacobs is an Associate Professor of Art in the Honors College at the University of New Mexico. Since joining the Honors College in 2015, she has developed a range of interdisciplinary courses that teach art/photography in dialogue with other disciplines such as women’s studies and philosophy. 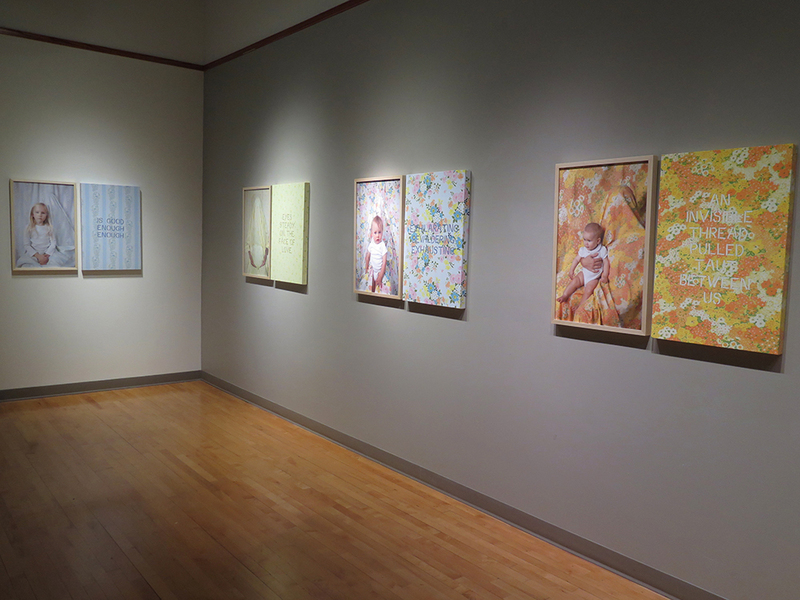 Jacobs creative work explores delicate relationships—our existence as material and concept, the interweaving between two partners in love and the bond of parent and child. Jacobs' work has been featured in Musee Magazine, Lenscratch, Feature Shoot, and Frankie Magazine. Her work has been exhibited nationally and internationally and has been part of exhibitions at Saatchi Gallery (online), the Museum of New Art (MONA), the Pingyao International Photography Festival, Pingyao, China, GoEun Museum of Photography, Busan, Korea, and Unitec Institute of Technology, Auckland, New Zealand. She earned an MFA in photography from the University of New Mexico and a BA from Smith College. The series Hidden Mothers references the early usages of photography when exposure times were long. During this time, mothers who wanted a photograph of their child would commonly be hidden under a piece of fabric in order for them to hold their child, thus ensuring a sharp image. I create formally similar images as a metaphor for the unrecognized physical and emotional work that mothers do to support and nurture their children in contemporary times. 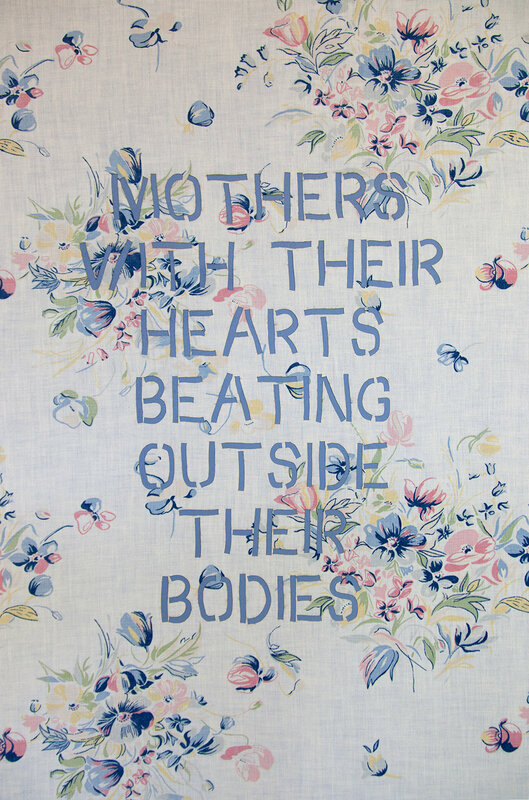 Each mother is wrapped in a floral bed linen that both elicits traditional notions of femininity and domestic spaces. 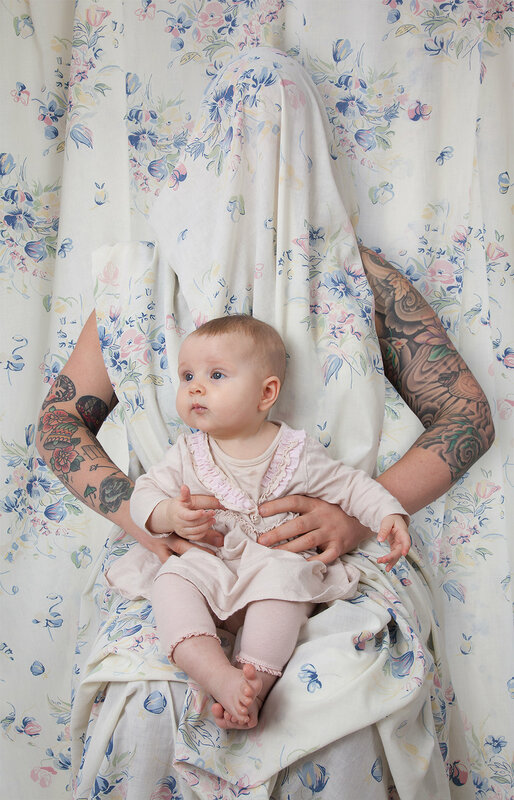 There is a tension between hiding and revealing in the images: the mothers’ identities are obscured yet the vibrant sheets accentuate their form, while in other instances aspects of their identities are exposed. 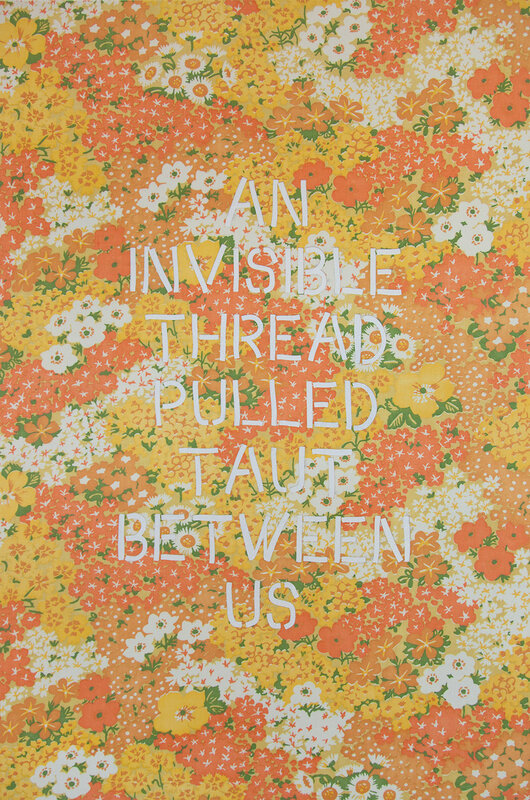 The interplay between hiding and revealing explores the complexities of motherhood and functions to illustrate the mutability of identity and in some cases an erasure of self. Mothers are navigating a world where their roles as a nurturer can feel sidelined and invisible. In an era when mothers are experiencing significantly increased parental time commitments coupled with rising childcare costs, mothering is not only personal but political. The Honors College offers an intimate learning environment coupled with the resources of a research university. We have passionate teachers who create an introspective and active learning environment. Our classes are interdisciplinary and are taught in a seminar style with enrollment capped at 18 students per section. Students have the ability to major and earn a Bachelor of Arts degree in Honors Interdisciplinary Liberal Arts in which they create a self-designed interdisciplinary thesis (creative or written). Students can also earn the interdisciplinary studies minor or a designation in interdisciplinary studies. The college has a range of scholarships and the Honors Research Institute which funds students to work with faculty members on a research project. There is an emphasis in the college for creating new and innovative interdisciplinary courses geared exclusively for undergraduates. The course "The Photographic Eye: Culture, Identity and Image Making" investigates the role that photography has played in shaping and preserving culture historically and in contemporary times through an investigation of vernacular and fine art photographs. I co-developed and team-taught "Locked Up: Incarceration in Question" with Dr. Marygold Walsh-Dilley, which explores the historical roots and contemporary practices of incarceration through the lenses of sociology and art. Various projects were created to integrate these disciplines and to evaluate mass incarceration, the civil rights issue of our generation, in new and profound ways. The course applies the technical understanding of depth of field (shallow, medium and great) as a kind of metaphor for how one can address the concept of incarceration: personally or universally. Additionally, a great deal of effort was put into galvanizing support to bring in speakers to work with honors college students and to speak to the larger UNM community such as Richard Ross and Jimmy Santiago Baca. Richard Ross’ work explores the efficacy and ethics of the treatment of American juveniles in detention centers. His books, Juvenile In Justice and Girls In Justice, explore the intersection of photography and sociological research proving to be not only a powerful “catalyst for change”, but an integral primary source that served as a model of interdisciplinary for students. "Fine Art as Global Perspective: Social Transformation Through Art" investigates the historical and contemporary usages of art as a social tool. This sophomore class explores a range of historic and contemporary texts and artists whose methodologies, materials and approach challenge cultural norms. Students created several creative projects — photographic, performance and installation—in the course. Working in partnership with the French contemporary artist JR, students took part in the world’s largest participatory art project, the Inside Out Project. After being the first artist to be awarded the TED prize, JR created the Inside Out Project to allow communities to photograph members of their own communities who deserve recognition and visual presence. My students formulated a concept, photographed, and installed several bodies of work—which sought to humanize and acknowledge the presence of refugees in Albuquerque, illustrate diversity on campus, de-shame and acknowledge the prevalence of sexual assault by depicting both survivors and their support teams (friends and family), and recognize differently abled people. Due to our hybrid nature—one that by design combines the process of making with a historical and interdisciplinary approach—we provide an environment that is rich for developing innovative creative works that utilize photography as well as a range of other media. The courses I teach are rooted in photographic history and do explore large-scale public works, digital output on alternative surfaces such as fabric, and time-based media. Students are encouraged to output their work in a range of ways printed, projected, and even utilize Instagram as a method of presentation. We are in the process of renovating a new building for our college which we’ll move into during the 2019-2020 academic year. There will be a flex space that will allow large-scale printing, alternative methods of presentation, and digital manipulation. We place importance on offering students the opportunity to converse and get feedback from a range of visiting artists. Recent and forthcoming guests include Richard Ross, Plakookee, and Jonathan Blaustein.